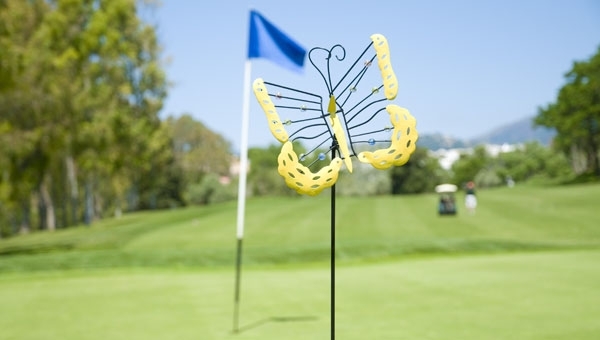 THE Butterfly Children charity (DEBRA Spain) is getting ready for the 11th edition of its annual charity golf tournament and ball. It will be held on the first weekend of June at the Aloha Golf Club in Marbella. The event will kick off on Saturday, June 1, with a golf tournament at the prestigious Aloha Golf Club. Players will be welcomed with strawberries and champagne, and there will be €10,000 worth of prizes for ladies and gentlemen’s teams, as well as prizes on each hole. There will also be wine tasting and other surprises. On Sunday night, June 2, a delicious meal will be served under the stars at the terrace of the Aloha Club House. After that, a spectacular show will be put on by the big T.A.P.A.S. Choir , the fabulous Ratpack, with their Vegas tribute and finally the “Impossible not to dance to” Mel Williams. Golf and dinner are sold separately. Green fees €65, reservations 952 90 70 85. Dinner reservations, including three course meal with wine and live entertainment is €60. Call 952 812 390.